The origins of butter go back thousands of years to when humans first started domesticating animals. The first written reference to butter was found on a 4500 year old limestone tablet illustrating how butter was made. In India, ghee (clarified butter) has been used as a staple food, and as a symbol of purity, worthy of offering to the gods in religious ceremonies for more than 3000 years. The Bible also has references to butter. It was a white substance with little food appeal so yellow colouring was added and other synthetic additives to make it palatable and then it was sold to people to use as a ‘healthy’ alternative to butter. It grew in popularity during the 1970's when it had also been falsely promoted by a researcher named Ancel Keys that consumption of animal fat and cholesterol was one of the major causes of coronary heart disease. In fact, butter actually contains nutrients that are essential for cholesterol metabolism and prevent hardening of the arteries. See below. The swap from butter to margarine caused a huge reduction of consumption of healthy sources of dietary fat since 1970 and, along with the food industries promotion of ‘fat free’ products hoodwinking the general public, has contributed to a serious decline in human health in the developed world and an increase in heart disease as well as diabetes, obesity and cancer. Contrary to popular belief, animal fat only really causes health problems and increases weight when it is combined with too much white sugar, corn syrup, synthetic food additives or table salt which it often is in processed foods. This alongside a sedentary lifestyle and lack of nutritious vegetables, fruits, seeds, nuts, herbs, spices, oily fish and fibre in the diet can contribute towards ill health and weight gain. Margarines are a processed food, created chemically from refined polyunsaturated oils. The process used to make these normally liquid oils into spread-able form is called hydrogenation. Margarine should be avoided as should anything else that is hydrogenated (this means hydrogen is added, changing the molecular structure of the substance). When margarine and vegetable oils are created by hydrogenating oils, trans-fats are created in the process. These trans-fats, which are found in a wide variety of processed foods, are a greater promoter of heart disease than butter or other saturated fats as they clog the arteries. Margarine has an extraordinary long shelf life and very cheap ingredients which means it is a highly profitable commodity nowadays and is why it is marketed so hard as the 'healthy' alternative to butter. It contains little natural nutritional value. Increases the risk of cancer. Lowers the quality of breast milk. Eating butter increases the absorption of many fat-soluble nutrients in other foods which is why it can enhance the flavours of other foods such as vegetables. Organic raw butter from grass-fed cows has many powerful nutritional benefits. Butter is a good source of vitamin A which is vital to maintain good vision and keeps the endocrine system (thyroid and adrenal glands) functioning well. Butter is also a rich source of . 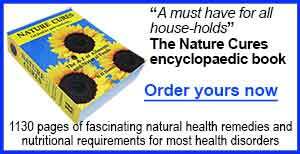 selenium, is a powerful antioxidant. Butter contains more selenium per gram compared to herring or wheat germ. It also contains healthy short and medium chain fatty acids which support the immune system and boost metabolism. If butter is sourced from cows that feed on green grass, it can contain high levels of conjugated linoleic acid CLA. This is a compound that can help provide protection against different types of cancer and helps the body store muscle instead of fat. It also possesses the perfect balance of omega-3 and omega-6 fats. The arachidonic acid in butter helps with brain function, skin health and prostaglandin balance. Prostaglandin is made from fatty acids at the site of tissue damage and infection and aids the healing process. 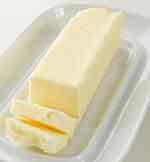 Saturated fats in butter also have powerful anti-tumour and anti-cancer properties. Butter contains eight grams of saturated fats. Butter is an excellent source of cholesterol which is necessary for healthy cellular function. It is essential to children's brain and nervous system development. The mitochondria in both the heart and the brain require adequate levels of cholesterol in the blood to function correctly. Butter also contains the Wulzen factor. This is a hormone like substance with many functions. It can prevent stiffness in the joints, as well as arthritis. It is also responsible for ensuring that calcium is deposited in the bones rather than in the joints. 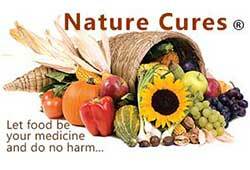 It also prevents hardening of the arteries, cataracts, and calcification of the pineal gland. Note that the Wulzen factor can only be found in raw butter and cream from organically reared grass fed cows. Contains lauric acid, important in treating fungal infections and candida. Contains lecithin, essential for cholesterol metabolism. Contains anti-oxidants that protect against free radical damage. Has anti-oxidants that protect against weakening arteries. Contains anti-microbial properties such as glycospingolipids which fight pathogenic microorganisms that live inside the intestinal tract. Butter must be raw, non-pasteurised and sourced from organically reared grass fed cows. The super high heat used to pasteurise destroys many of the above nutritional qualities. Unfortunately this can be difficult to find. However, making butter at home is not difficult. The amount of butter gained from cream will be half and there will also be half as pure buttermilk. Buttermilk can be used to make soda bread or is a healthy thirst quenching drink especially for children and the elderly. Adding half a teaspoon of finely ground sea salt or Himalayan crystal salt is a taste option but it will help the butter last 2 to 3 weeks rather than a few days. Using a food-processor will provide light and fluffy butter. 1. Pour the cream into a bowl, set the electric mixer on medium speed and blend. Can be whisked by hand but will take much longer. 2. The cream transforms first into fluffy whipped cream and then stiff peaks. These break down into soft cottage-cheese-like curds as the butterfat separates from the milk. The butter begins to stiffen and clump together and the watery milk pools in the bottom of the bowl. This should take about 10 minutes. 3. At this point, stop the mixer. Carefully pour off as much milk as possible and refrigerate it. 4. Use a rubber or stiff metal spatula to press the butter to squeeze out as much of the liquid as possible. 5. Make sure the utensil used has been stood in ice cold water before hand to stop the butter sticking to it. The hands can be used to squeeze the butter but must be run under a cold tap first or the butter will just stick to them. 6. Add about 1/2 cup ice water to the butter and use the spatula to press the butter and water against the side of the bowl. This step, called washing, is important to keep the butter from spoiling. Pour off the cloudy liquid. Add more ice water and repeat the process two or three times until the water becomes clear. 7. Continue kneading butter against the side of the bowl until all the liquid has been pressed out. 8. Sprinkle with the sea salt, if desired and knead again. Mould it into the shape and size required then pack in sealed containers or wrap tightly in greaseproof paper or foil. 9. For storing, first wrap in greaseproof paper, then wrap in plastic wrap or foil to make an airtight package. 10. Refrigerate up to one week or freeze for up to six months. Once opened use up within two to three days unless salt has been added. Then it will last two to three weeks. Instead of whisking shake the cream in a covered canning jar or well-sealed container until it forms into the butter mass. This can take a while, up to 20 minutes or more. Then follow steps 3 - 10 above. First of all, cream 110g (4 oz) of butter, then add in one of the following ingredients and a few drops of lemon juice at a time. Finely chop the following ingredients before adding to the creamed butter. Grind any nuts, seeds, spices chosen before adding to the butter. 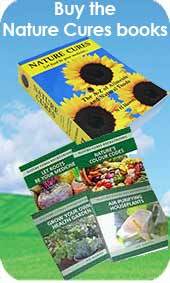 Use organic herbs wherever possible. Better still if grown at home. Flavoured butters are good to use with stir fries, rice or baked potatoes and other vegetables. 2 tablespoons parsley and 1 tablespoon of mustard (good with herrings). 2 tablespoons of mixed fresh herbs, e.g. parsley, chives, thyme, fennel etc. Best to only use a maximum of four flavours together. One ground tablespoon of any nuts, seeds or spices of choice. After blending together, roll into butter pats or form into a roll and wrap in greaseproof paper, screwing each end so that it looks like a cracker. Refrigerate to harden. NOTE: Sunlight taints butter (and milk) very quickly so it should be kept covered especially outdoors. Cultured butter adds many beneficial probiotic bacteria to the butter and also keeps it for longer. It was the only option to preserve butter before refrigeration. There are butter cultures that can be purchased from cheese-making suppliers, but organic live natural yoghurt is just as good to use. Make sure it contains no stabilizers, flavourings or any other additives. The day before making butter, pour the cream and yoghurt into a bowl and whisk briefly to combine. Cover the bowl with a clean kitchen towel and stand it a slightly warm place (about 70°F - 75°F) to culture. Check after eight to 12 hours. The cream is ready when it has thickened slightly and is a little foamy. It will smell slightly sour and tangy. This can sometimes take an additional 12 to 24 hours. Once it has cultured, place it in the refrigerator for about one hour to chill. Then remove from the refrigerator and leave for one hour at room temperature then follow the same process as for making butter above.